“The elections of 1990 are an important landmark in the modern history of Burma. After three decades... almost three decades...of military dictatorship, finally the people of Burma were going to be able to vote for a government of their choice. The elections of 1990 were free and fair. It was one of the freest and fairest that had taken place in this region at that time. But unfortunately, the results of the elections were not honoured”. 1990 Multi-Party Democracy General Elections, contested by 93 political parties, was sponsored by the military junta on 27 May 1990 after it took over the power of state on 18 September 1988. The people of Burma voted overwhelmingly for a democratic Parliament. It was free and fair and affirmed as such by the Burmese people and the world. The people exercised their right to freely choose candidates to represent them in a Pyithu Hluttaw (People’s Parliament)in keeping with the democratic principles that “sovereign power lies with the people which is transferred by way of elections “. In accordance with Article 2 (a) of the Pyithu Hluttaw Election Law (State Law and Order Restoration Council, Law No.14/89 of 31 May 1989), the elections held on 27 May 1990, is for the Pyithu Hluttaw (People’s Parliament) and not for a Constituent Assembly. The Article 21 (3) of the Universal Declaration of Human Rights declares that, “The will of the people shall be the basis of the authority of government; this will shall be expressed in periodic and genuine elections which shall be by universal and equal suffrage and shall be held by secret vote or by equivalent free voting procedures”. The will of the Burmese people has been obviously expressed in the May 1990 elections in Burma. In this election, among the 492 constituencies election was held in 485 constituencies where more than two thousand candidates participated. There were 20,818,313 eligible voters in 485 constituencies and 15, 112,524 votes casted where 13,253,606 votes were valid. In this election the Rohingyas were not only allowed to vote but also, in their exercise of franchise, elected four Rohingya members of Parliament. U Chit Lwin (a) Ebrahim, Mr. Fazal Ahmed, U Kyaw Min (a) Shomshul Anwarul Haque, and U Tin Maung (a) Nur Ahmed have been elected as members of the Parliament. National League for Democracy fielded 447 candidates. Of them, 392 got elected. There were altogether 485 constituencies. Shan Nationalities League for Democracy (SNLD) won 23 seats. Arakan League for Democracy (ALD) won eleven. National Unity Party (NUP) won ten. Mon National Democratic Front (MNDF) won five and National Democratic Party for Human Rights won 4 seats. In Arakan State NLD won in 9 seats; Arakan League for Democracy (ALD) won 11 seats; National Democratic Party for Human Rights (NDPHR) won 4, Kamans National League for Democracy and Mro or Khami National Solidarity Organization won 1 seat each. The total votes for NLD winners were 1,77, 999; the total votes for ALD and othe Rakhine Parties were 1,97,536; the total votes for NDPHR and other Rohingya parties including Kamans one were 2,05,367, and The Mro get 28,500 votes. 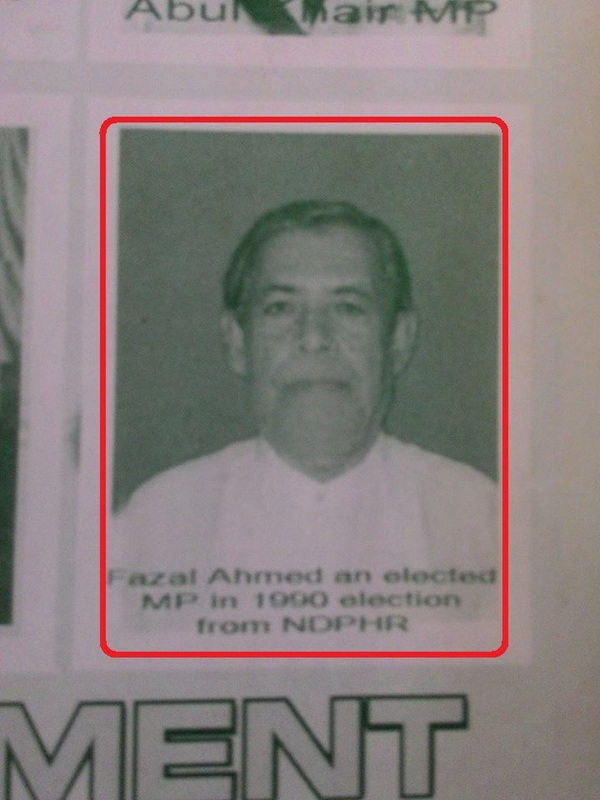 U Kyaw Min (aka) Shamsul Anowarul Hoque was elected from Buthidaung (1) Constituency with 30,997 valid votes from 41,668 valid votes, where 58, 449 eligible voters and 46, 065 voters were casted in the 1990 elections. The SLORC banned the NDPHR under order No. 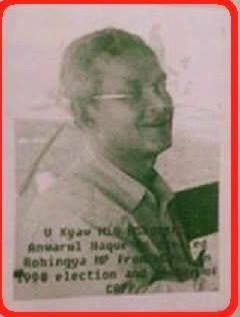 8/92 on 18 March 1992, and at the time U Kyaw Min was a member of the party’s Central Executive Committee. U Kyaw Min, son of Fazar Rahman, was born in the village "Mikyanzay" under Buthidaung Township in Arakan State of Burma in 1944. 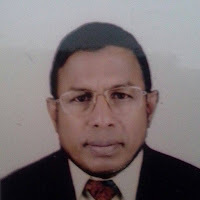 He was graduated from the Rangoon Institute of Economics in 1968 with a Bachelor of Economics degree and in 1983; he received a Diploma in Education from the Institute of Education Rangoon. He joined to the Education Department of Burma in 1969 and served there as a Senior Assistant Teacher (SAT) up to 1985 in various state schools in Arakan. 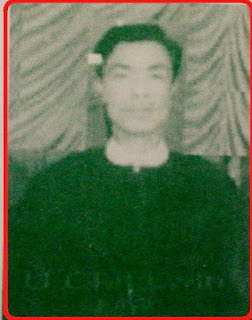 He was promoted to Headmaster of State Middle School in TanBazaar, Buthidaung, in 1985. However, he was dismissed from his post in 1989 due to his involvement in the August 1988 uprising. He joined the Committee Representing the People's Parliament (CRPP) in 1998 at the invitation of Daw Aung San Suu Kyi to represent the Rohingya ethnic minority. The National Unity Party (UNP) also invited him to join NUP to support military backed national convention after resigning from CRPP. But he did not agree and this has caused serious wrath of the military rulers and the ultimate consequence was the handing of 47 years imprisonment. In 1992, he was put in detention for 3 months in the custody of the military intelligence during operation Pye Thaya. In 1994, then the military intelligence again put him in detention for 45 days. Finally, in March 2005, he was arrested from his residence in Rangoon and was charged under Section 18 Citizenship Law 1982 and section 5(j) Anti State Emergency Law. He has been sentenced to 47 years imprisonment and at the same time his wife Daw Tiza, his two daughters Kin Kin Nu and Way Way Nu and his son Maung Aung Naing have also been sentenced to 17 years imprisonment respectively. U Tin Maung (aka) Nur Ahmed was elected from Buthidaung (2) Constituency with 20,045 valid votes from 40,143 valid votes, where 55,095 eligible voters and 46,037 voters were casted in the 1990 elections. U Tin Maung was the Chairman of the NDPHR when the SLORC banned the party in 1992. U Ting Maung, son of U Saiful Mulluk , was born in 1928 in Phone Nyo Lake village of Buthidaung. His early education was at Buthidaung State High School. After matriculation he attended to the two years Health Assistant Training Course in Insein, Rangoon from 1954-1956. After the training he joined to the department Anti-Malaria Unit in Buthidaung as Unit Head. Later he served as a Health Assistance Officer in Buthidaung and Sandoway Township till 1968. Then he abandoned his job and joined to the Rohinya Independent Force (RIF) as a full time member but back to Buthidaung 1n 1978. U Chit Lwin (aka) Ibbrahim was elected from Maungdaw (1) Constituency with 20,045 valid votes from 64,019 valid votes; where 87,174 eligible voters and 73,633 voters were casted in the 1990 elections. U Chit Lwin was Vice-Chairman of the NDPHR when the SLORC banned the party in 1992. U Chit Lwin, son of Master Siddique Ahmed, was born in 1946 in Myuthugyi village of Maungdaw. His early education was at State High School Maungdaw. He was graduated with a Bachelor of Commerce degree from the Rangoon Institute of Economic, in 1967. He also received a Post-Graduate Diploma of Economic Planning in 1977 from the Institute of Economics in Rangoon. Later he pursued Register of Account and Register of Law (RL) also. He is a certified accountant and auditor also. He joined t the Ministry of Planning and Finance and served there from 1967-1983. Since 1984, he practices law as an advocate at the High Court. U Fazal Ahmed was elected from Maungdaw (2) Constituency with 24,881 valid votes from 58,230 valid votes; where 84,166 eligible voters and 58,230 voters were casted in the 1990 elections. . He was a Central Executive Committee member of the NDPHR when the SLORC banned the party in 1992. 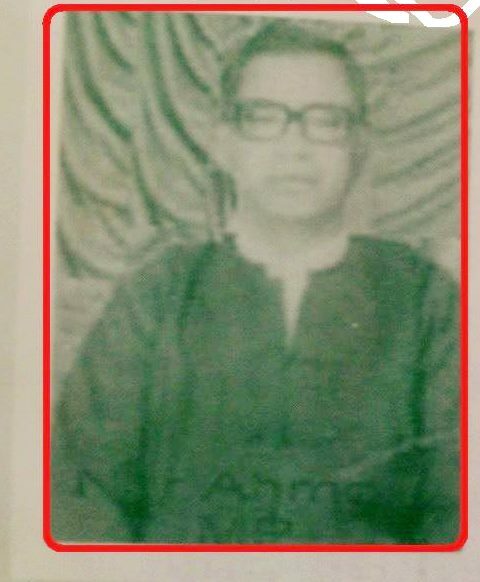 U Fazal Ahmed, son of U Mohammed Kalu, was born in 1941 in Basuba village of Maungdaw. His early education was at State High School Maungdaw. After finishing his High School education, in 1960, he joined to Deputy Commissioner’s Office in Maungdaw as a clerk and he served in various offices in Maungdaw, Buthidaung, Kyauk Taw, Kaukpyu, Taungup, and Sittwe in Arakan State. Later he passed the higher grade pleader (HGP) examination and he started working as a private lawyer. U Shwe Ya was elected from Akyab / Sittway (1) Constituency with 9,821 valid votes from 30,332 valid votes; where 49,899 eligible voters and 36,441 voters were casted in the 1990 elections. The SLORC banned the KNLD on 11 March 1992. Following the 1990 election, the ALD candidate for Sittwe 1, U Maung Thazan, accused U Shwe Ya of cheating in the election. The Election Commission subsequently launched an investigation into the matter but the case was dismissed. U Shwe Ya, son of U Shwe Maung, was born in Akyab town in 1955. He is a Kaman Muslim. His early Education was at State High School Kyaukpyu. After Matriculation he joined in the General Administrative Department in Myebon , Arakan State, in 1974. Later he pursued his L.L.B degree as a correspondent student from Rangoon Art and Science University. After obtaining his LLB degree he joined to the court as a lawyer. The elections of 1990 were free and fair. It was one of the freest and fairest that had taken place in this region at that time. But unfortunately, the results of the elections were not honoured. The people exercised their right to freely choose candidates to represent them in a Pyithu Hluttaw (People’s Parliament)in keeping with the democratic principles that “sovereign power lies with the people which is transferred by way of elections“. The Rohingyas were not only permitted to vote but also to form their own political parties during the May 1990 election. Two parties were formed the Students and Youth League for Mayu Development and the National Democratic and Human Rights (NDPHR).The NDPHR won all four seats in Maung Daw and Buthidaung constituencies, and in each constituency votes for the two parties counted for 80 per cent of the total votes cast. Moreover, the turnout in both constituencies equaled the national average, at 70 per cent of eligible voters. The NDPHR also fielded candidates in four other constituencies; Kyuk Taw-1, Minbya-1, Mrauk U -2 and Sittwe -2, and they gained an average of 17 per cent of the votes while the Government- backed National Unity Party got only 13 per cent. Although the name of Rohingya was not permitted to use in the party title, the NDPHR was allowed to produce a booklet in Burmese called ‘Arakan and the Rohingya people: a short History’ on August 31, 1991. According to the NDPHR sources, the permission to print this booklet was rescinded two months later. This election was held under the Constitution of 1974 and according 1982 Citizenship Law. Under the1989 election law ‘all citizens, associate citizens and naturalized citizens are permitted to vote, but only the citizens are allowed to stand for election. No foreign residents were allowed to vote.’ Thus, allowing taking part in the national elections was clearly indicated that these people were eligible voters and full citizens. In other words we can say that the then government clearly recognized these Rohingyas as citizens till 1990 in accordance with the Constitution of 1974 and 1982 Citizenship Law.